COUNTRY DREAM 5 acres N.of Coburg in the foothills. 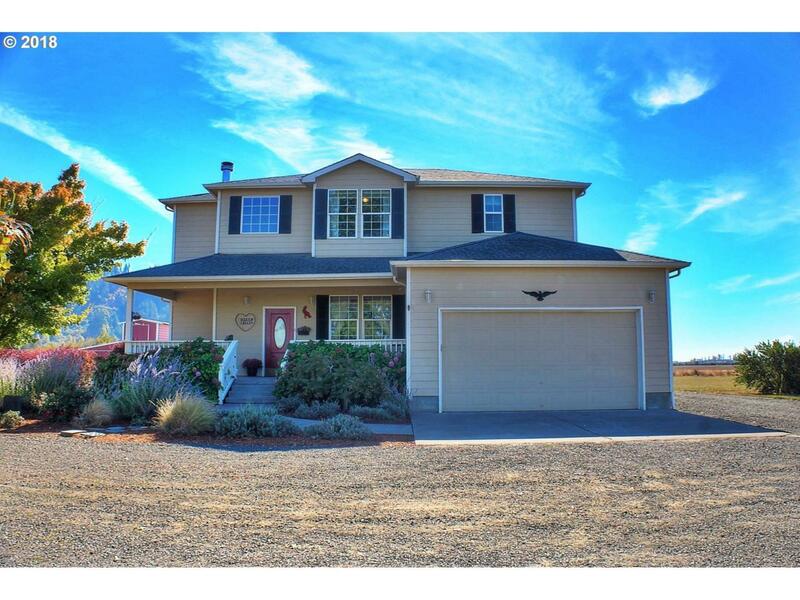 12 min to Costco.Farmhouse style 4 bdr home built in 2003. Cute Guest House with 3 bdr,only 4 yrs old has been used as a vacation rental, furnished. Views of Pond,Mts,open prairie, parking for 25 cars. 2-Bay Shop/Warehse 28'x48' plus a 800 sqft loft, util sink. Barn 44'x36' mostly compacted gravel floor,1/3 is concrete (shop), RV prking.Seasonal creek, usable land. 15+ GPM Well.